It’s still all about the socks at Cable Girls HQ, with at least two new pairs being cast on this week, including Kate’s Kalajoki socks in a lovely blue shade of Sport from PT5, a yarn she picked up on holiday in Norway last year. 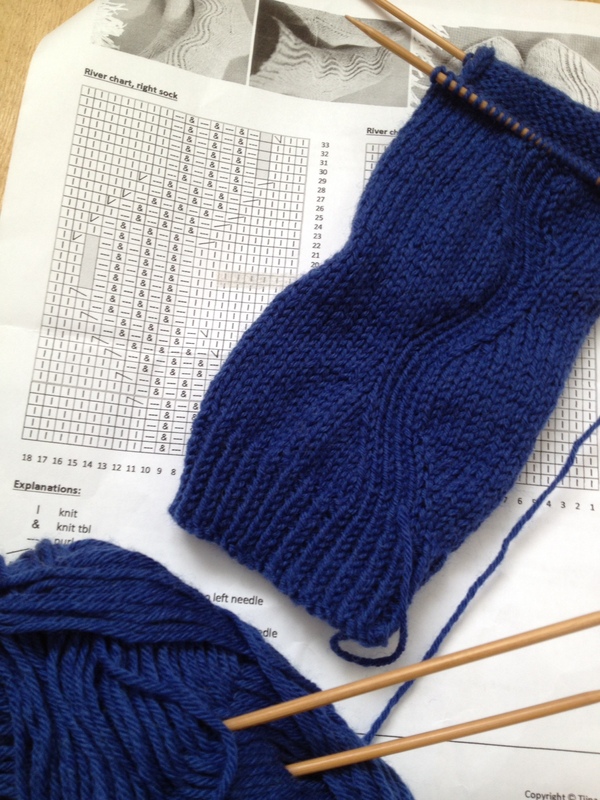 Kalajoki socks in progress (c) The Cable Girls, 2015. Sheila is knitting away on her Tree of Life Afghan at her usual breakneck speed – it will be done well before it gets cold again here in the Cotswolds! 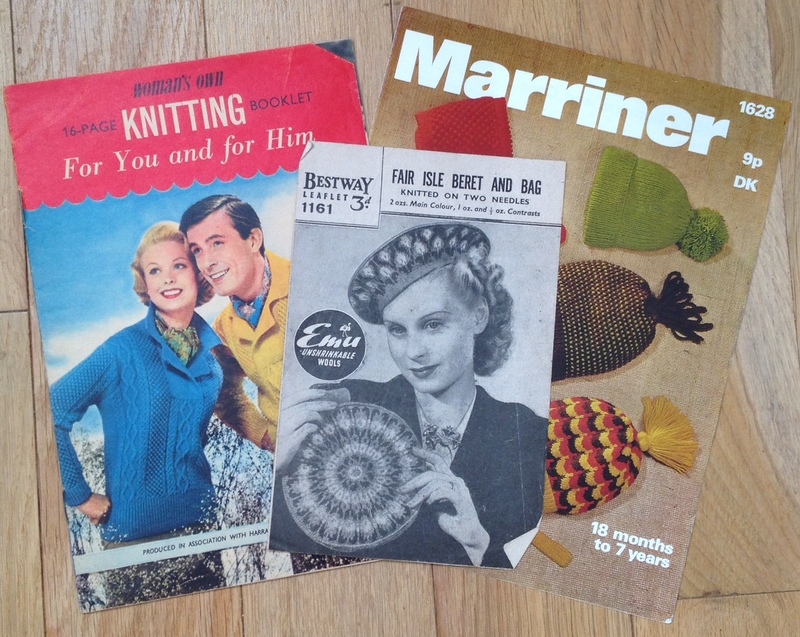 Vintage knitting patterns (c) The Cable Girls, 2015. We had a good chuckle at the things people posted with #thingsknittersdo – and we identified with quite a few too! We loved reading Tin Can Knits’ post about how their patterns get made. We’re working on a few patterns and it seemed quite a daunting process, but reading about their process made it seem a bit more accessible. Andi’s explanation of why she keeps knitting was lovely – it really resonated with us. We definitely agree that it’s relaxing and love that it’s productive too. We were wowed by the yarn Bethany used for her Fluid hat – and her website design is fabulous too! Our favourite pin this week was the map of “cuts of lamb” – very clever! We can hardly believe that the summer is almost over – it’s our final knitting surgery this week in Cheltenham and our next learn to knit course starts in just 10 days’ time! If you want to come along and share the wonderful world of knitting with us, you can book here – if you have any questions about it leave us a comment below.